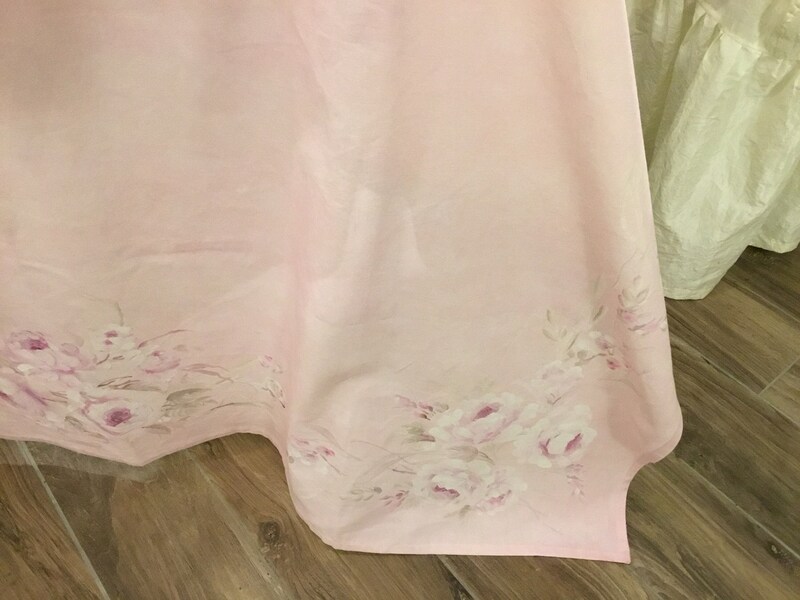 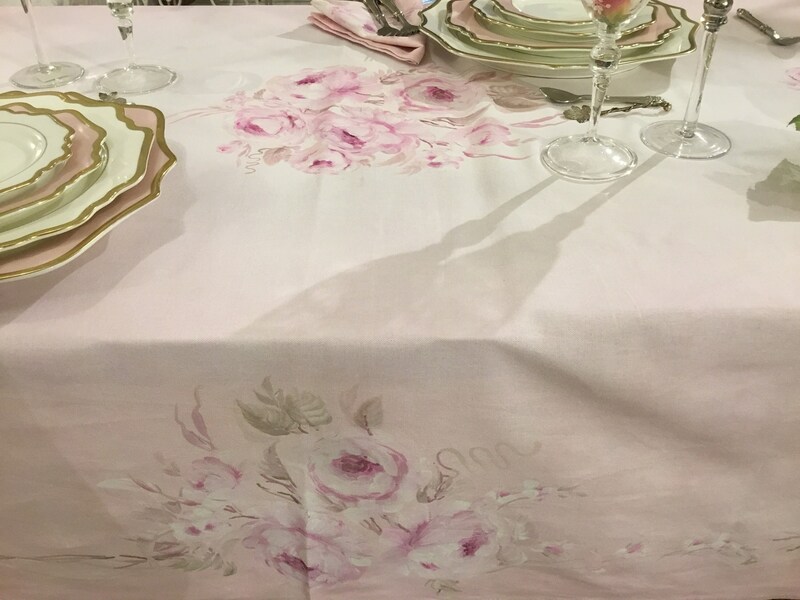 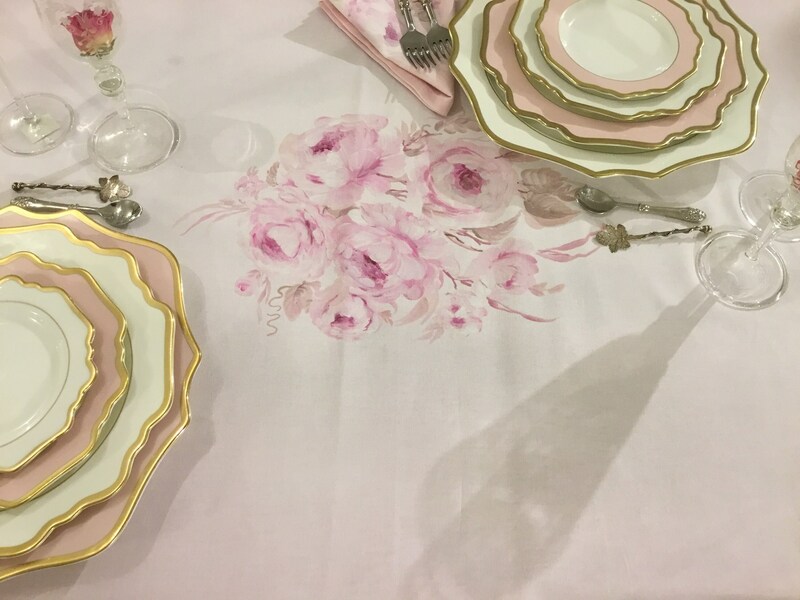 Hand painted Tablecloth "fresco ROSE"
Tablecloth in 100% cotton, light and soft. 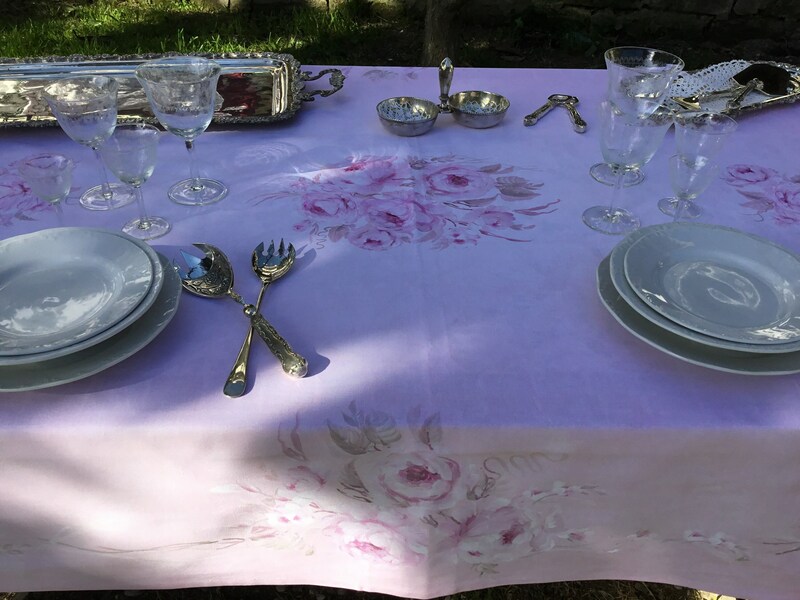 It will transform your board into a real spectacle giving elegance, color and style to your room. 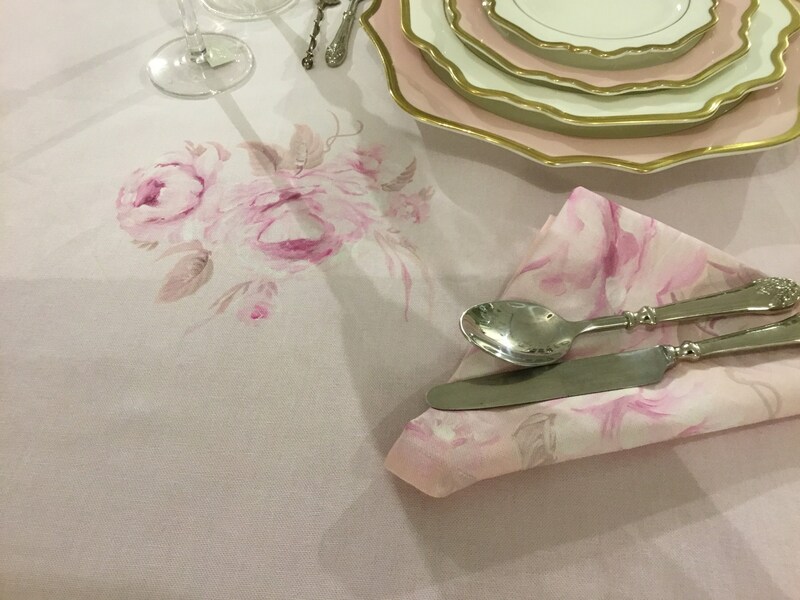 It can also be used only for beauty, a unique accessory because made from a hand-made and printed painting. 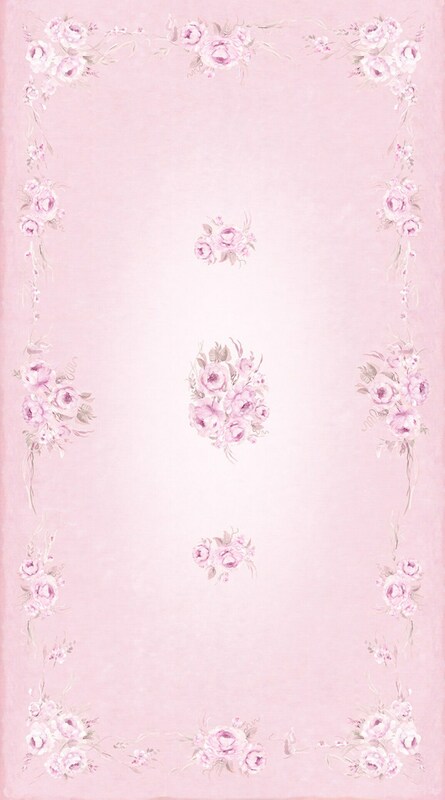 A painting of dreamy and romantic roses, shades of color that adapts to every style and that does not need to be explained, is limited only to spreading its own scent. 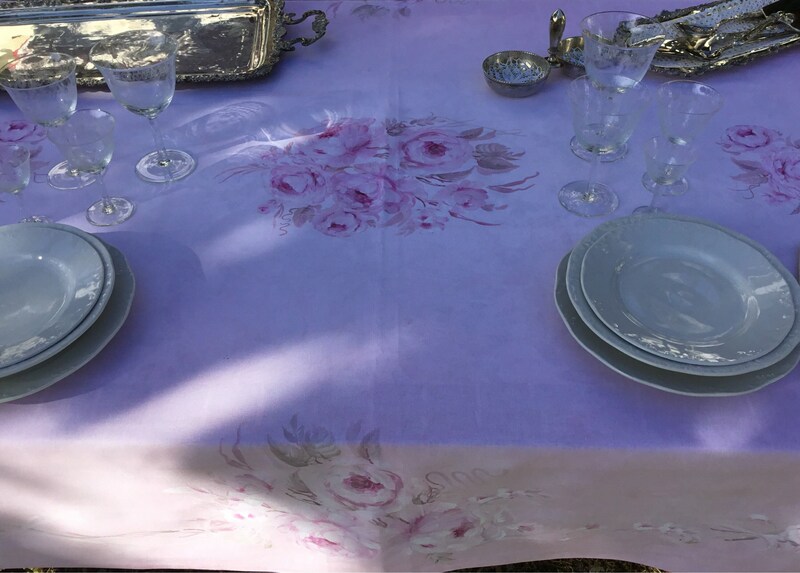 In size cm 140x300 do not hesitate to contact us for any information.